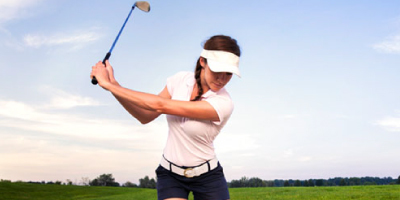 Golf is the perfect girls day out! We proudly offer a comprehensive program of events and activities to embrace women into the great game of golf! 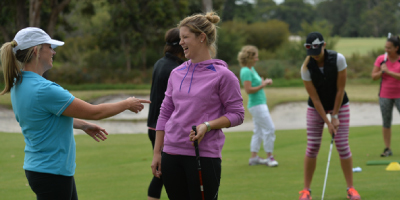 For those of you who like the idea of catching up with the girls for a round of golf but have little or no golf experience, why not join one of introductory programs designed for complete beginners? These ladies only classes are all about having fun and being social, while learning the basics of golf. If you just need a few pointers to improve your game, check out our full range of group lesson programs or try a one-on-one lesson with one of our experienced coaches. Hosted by Duncan Kegg, our Monday Ladies Golf Class is perfect for ladies to get into golf or improve your game! Whether you’re a newbie or an avid golfer, these fun and social classes will have you coming back for more! The class size has a max of 8 and enrolment is on a weekly basis. This weekly ‘fun’ class is aimed at enjoying, learning and improving all areas of golf in a fun and relaxed atmosphere. Our Tuesday Ladies Golf Class is hosted by our highly experienced coach Tony McSkimming, and has a max class size of 8. Bookings are on a weekly basis. Another edition of our extremely popular ladies weekly ‘fun’ class is aimed at enjoying, starting out, learning and improving all areas of golf in a fun and relaxed atmosphere. Our Sunday Ladies Golf Class has a max class size of 8. Bookings are on a weekly basis. This is a great introductory program for beginners with no or little golf experience. The clinic runs over 4-weeks period and covers all the essential skills and techniques you need to get started, such as your grip, club swing, chipping and putting. Equipment is provided if you don’t have your own. For further information on our ladies golf programs, tuition or coaching options, contact Collier Park Golf on 9484 1666 or email learn@collierpark.com.au.